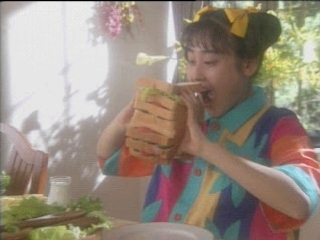 Publisher Bandai Visual (Emotion Digital Software). Dating sims (or dating simulations) are a video game subgenre of simulation games, usually Japanese, with romantic elements. They are also sometimes put under the category of neoromance. The most common objective of dating sims is to date, usually choosing from among several characters, and to achieve a romantic relationship. 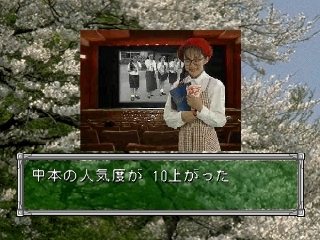 The term dating sim is also often used as a synonym for the visual novel genre. 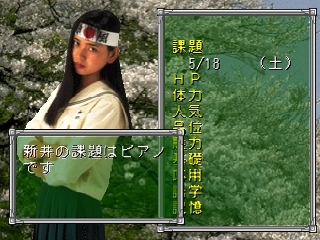 However, this is mixing genre and medium, as visual novels are considered a subgenre of adventure games and the term does not cover simulations. 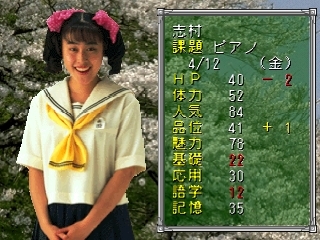 While the two genres often share a common visual presentation, dating sims are sometimes considered to be more statistically based than the "choose your own adventure" style of visual novels. 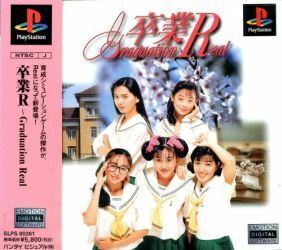 Sotsugyou R - Graduation Real is a conversion of the PCFX game of the same name (anyway the first version of the game was for the PC98 in 1992). The word sotsugyou means graduation. In the game the player takes the role of newly appointed teacher that arrives at a high school and will try to help the 5 girls to graduate and pass to university, and maybe during the game depending of the player choices he will fall in love with one of them and marry her. Instead of the classic 2d cartoon graphics the game uses real actors images. During each week he will provide different studies for the girls to improve their stats and during weekends he can go to other places. There will be different events (in the school and out of there) and situations that will make him be more or less appreciated by her. 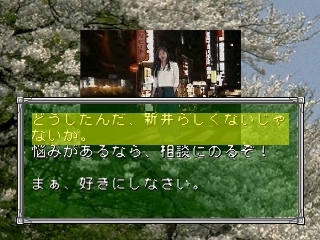 Development of such popular PC simulation engine] [Graduation ~ Graduation ~ appeared in live-action version. Content is intact, replace the graphic photographs girl model, insert a specific event and ending of each movie. Homeroom teachers and students to question five, trying to fight Serubeku successfully graduated.